Thread: Looking for Titamium 29er Hardtail Frame, recommendation? 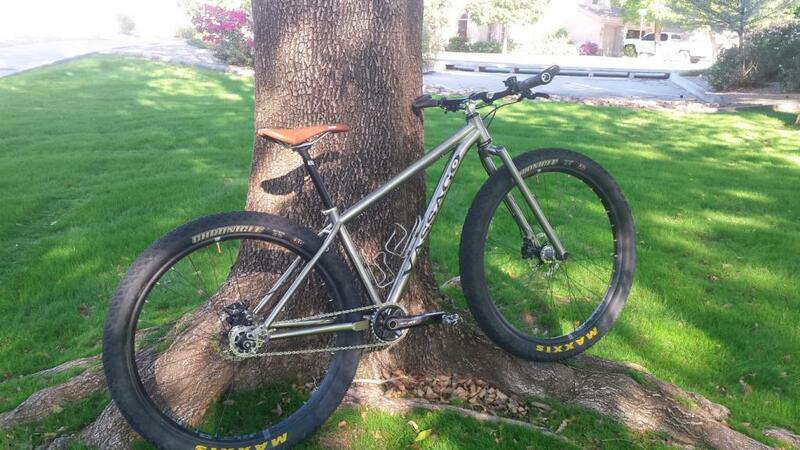 Hi, looking for titanium 29er hardtail frame for trail and XC rides. Plan to build from scratch. Was thinking of 2017 Lynskey Ridgeline 29. Any other recommendation? Thanks! Vassago Optimus Ti. - Can get the 29 or 29+ if that is your thing. I ride with number Optimus riders and all happy with their bikes. I have heard of cracking on many of the older Lynskey Ti frames. No experience with the newest ones however. +1 For the Vassago... 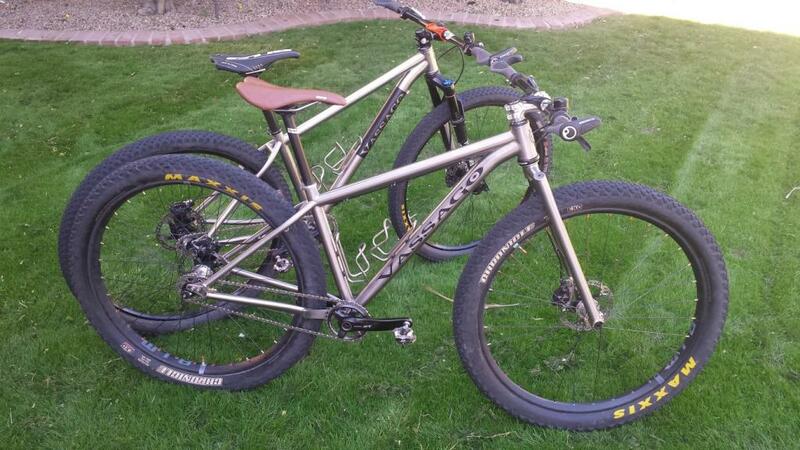 I have both the 29+ and the 29er version and they are SWEET. Thanks for the recommendation guys! What size frame? I'm sitting on a Lynskey M290 XL. How about Litespeed Pinhoti Boost 2017? If it was my money, I would go with your original thought-the Ridgeline. Made in the USA and backed up by the Lynskey family who have a great track record of taking care of their customers going all the way back to the pre-ABG days at Litespeed. Sweet bikes, look fantastic. What other bikes have you ridden to compare chainstay length wise and how do you find these handle tight, slow stuff? Asking about handling, specifically the CS because I recently tried and managed to fit a smaller 29"x3.0" (actually 2.75") tyre into the back of my Monkey, but had to push the axle all the way to the back of the drop outs and the difference it made to how easy or not it was to loft the front was staggering compared to running normal 29er/B+ with Monkey Nuts - normal CS=17.275" slammed all the way back was 17.75" IIRC. Know that increase in overall tyre diameter would have played a part, but overall just was so surprised how much harder it was and this is something that makes riding slow tech much more enjoyable, so looking for a frame that has an easy to loft front end. Curious if anyone knows the actual Reach/Stack numbers for these frames, not listed in the geo charts on their site?? Guessing that the Large Reach is not more than 440mm, prob more like 430mm going by the HTA, STA and ETT. 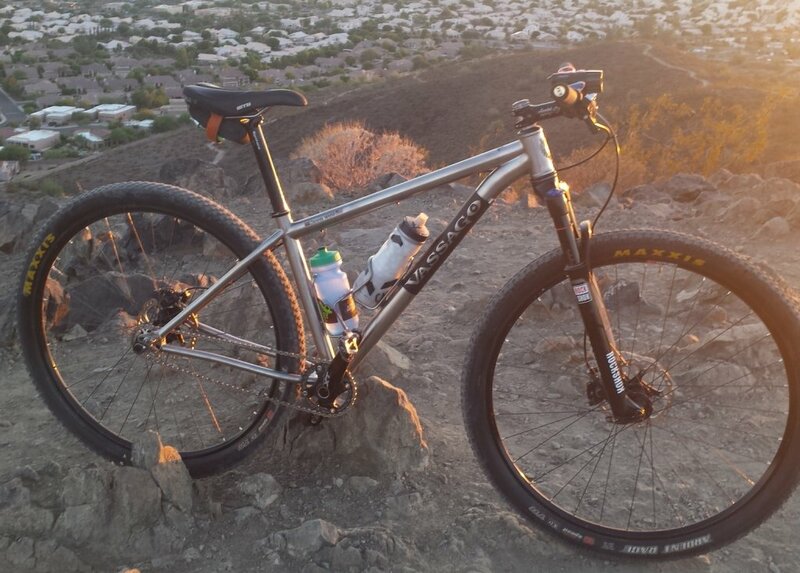 If you end up going with the Lynskey, take a look at their EBay page. They usually have frames listed at ridiculous prices. 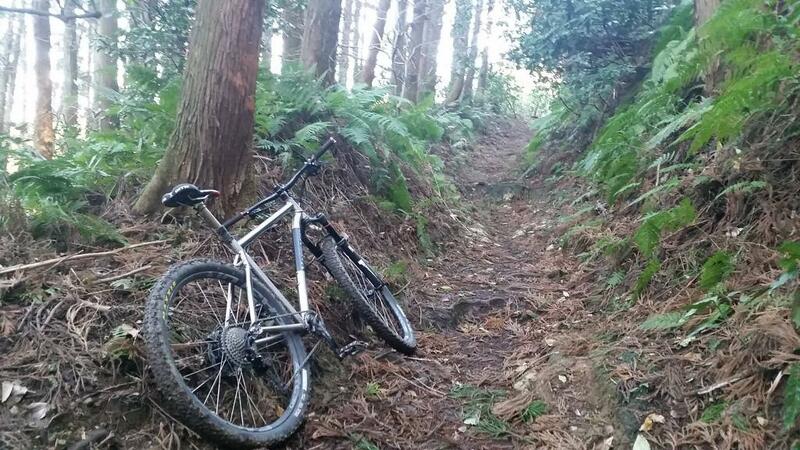 As far as Ti goes, the Reeb TyReeb would be my choice. Last edited by OldHouseMan; 01-14-2017 at 09:21 AM. Eriksen will build you a custom frame. I just found out Twin Six is making frames. Their Standard Ti 29 looks interesting. Look into Carver 420 if you like a curved top tube. Their Titanium is not from China....none of it. I was always under the impression they were from China or Taiwan. Carver Gnarvester is a fun bike. I ride a L Optimus Ti and with most companies I am between a 19" & 21" frame. I do run a short stem and wide bars, but I am truly happy with everything this bike does. It is no doubt an XC bike. I did put a 120 fork on it and I do ride some stuff much rougher than what is typically considered XC. Other than sometimes wishing for more front end travel in the really rough stuff... I have no complaints. If I were to get more on the front, the bike would lose some of how sharp and responsive it is in the fast flowy XC stuff. Hardtail 29er frame for under $1,000?